At the time of writing, T-Series (91,778,805) was leading PewDiePie (91,707,188) by nearly 72,000 subscribers. This is the first time the Indian music has gained an upper hand after the battle for YouTube supremacy began in the middle of the last year. This is the result of a nationalist campaign launched by the music label, a few weeks ago, backed by Bollywood stars and musicians. On March 6, the company’s supremo, Bhushan Kumar, posted videos on Facebook and Twitter, asking people to subscribe to the music label’s YouTube channel, and “create history by making India win.” Just two days before this campaign, PewDiePie became the first YouTuber to gain 88 million subscribers; the subscriber gap between him and T-Series was around 42,000 at that time. Following the video, several popular Bollywood stars and musicians – who have millions of followers on social media – backed the campaign to increase the subscriber count for T-Series‘ YouTube channel. This played a huge part in getting to the company’s aim to become YouTube’s top dog. In the past couple of months, PewDiePie‘s fans have been relentless in promoting his channels through various means – popular YouTubers buying billboards in their cities, hackers taking over printers, and making ransomware – to spread the “Subscribe to PewDiePie” message. At one point, some PewDiePie fans engaged in abuse aimed at Indians; to douse the fire, the YouTuber set up a GoFundMe campaign to donate for an Indian NGO. Notably, the gunman of the terrorist attack on a mosque in New Zealand asked viewers to subscribe to PewDiePie on his livestream. After these incidents, the YouTube community seems to be trying to move on from the “Subscribe to PewDiePie” saga. In the meantime, the race continues. 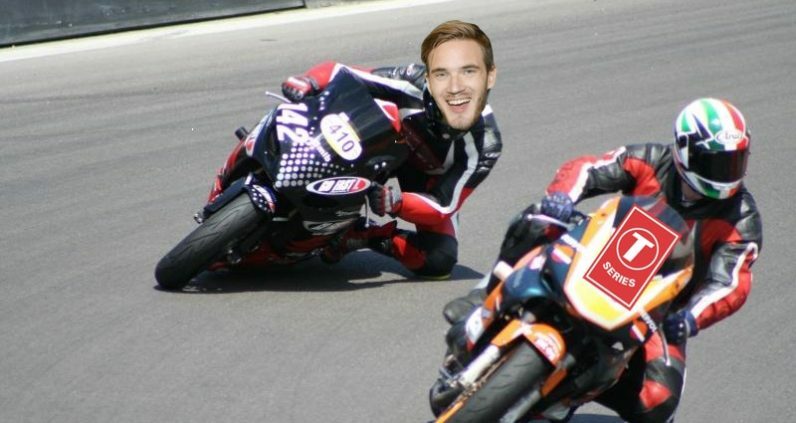 We’ll have to wait and see whether T-Series can defend its lead, or whether PewDiePie fans have more stunts left to bring the creator back to the number one spot.